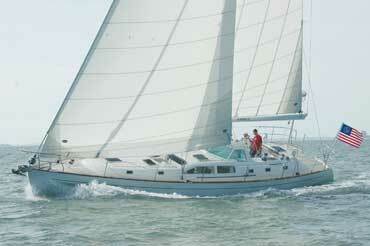 The current owner has enjoyed Inamotata for 24 years from the great Lakes to the Bahamas! 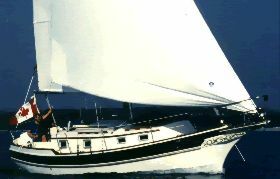 This classic Cutter rig is perfect for the cruising yachtsman who appreciates the flexibility of short handed sailing with an all inboard rig, spaciousness below decks and beautifully balanced sailing qualities!! 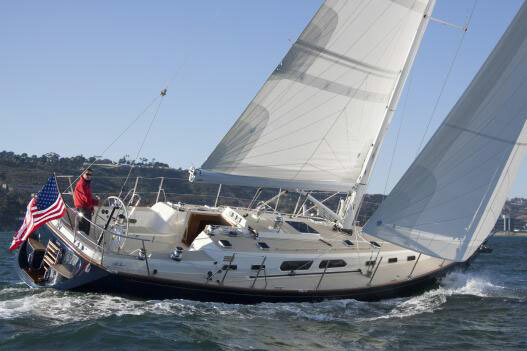 This Pearson 36 Cutter is truly a "broad shouldered" sailing yacht. The main salon is a unique combination of workability and uncluttered comfort. You can cook, navigate or socialize without tripping over anybody.The foldaway drop-leaf table conceals some neat shelves while outboard port and starboard there is more stowage than needed by even the most dedicated long distance cruiser. The wine locker is on the starboard bulkhead. The head has a separate stand-up shower stall.. There is also a handsome mirrored vanity with built-in laundry hamper and again ample stowage. The Navigation station is a no-nonsense chart table/desk, with room to spread out. There is a two position swing-out seat and lots of space for instrumentation. There is a lot of headroom and an expanse of varnished mahogany trimmed with ash. 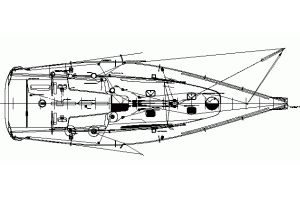 Settees are deep and long and the one to Starboard can be converted to a double the port to a single. The owner's stateroom is as comfortable as it is private. Keeping it shipshape is easy when there are built-in bureaus and lockers and outboard shelves for stowage. The V-Berth filler stows conveniently overhead. The Hanging locker is cedar lined. 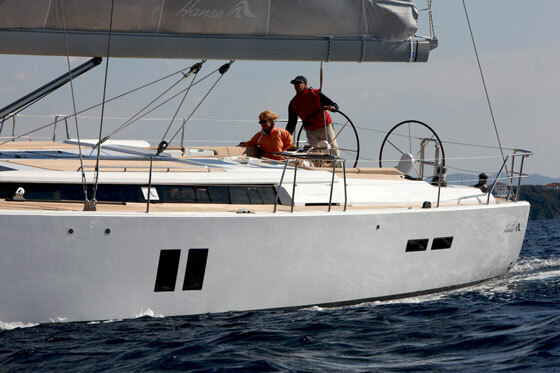 The boat is fully air conditioned with a Domitec 16,000 BTU reverse cycle. She is ready for extended cruising. The U-shaped galley is great for the galley gourmet. The three burner gas stove with oven, double stainless steel sink, huge refrigerated icebox and a wondrous amount of storage space; enough to make you want to live aboard. Overhead is a built-in rack for cups and dishes. 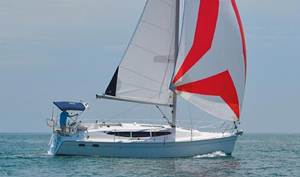 Rigging that is easy to handle and designed to bring the boat to maximum performance with a minimum of effort.With the jib furled, tacking is a cinch. Just turn the wheel.